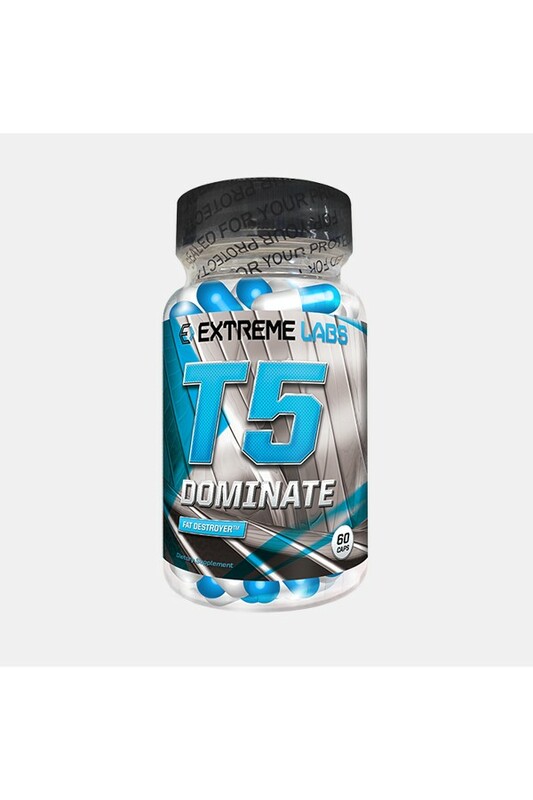 T5 Dominate is safe for both Male and Female users. Its unique combination of ingredients make this the perfect entry to using a safe reliable weight management product. It includes our new trade marked QuadVit™ Vitamin B blend giving the user 100% RDA of the most important B vitamins (B1, B5, B6, B12). T5 Dominate is designed to help support you as you reduce your food consumption to a manageable level. T5’s are a great option whether you’re just starting out with a healthy eating plan or you’re looking for an extra boost to your existing regime. This is the perfect starter product and as your weight loss goals change, you can move onto stronger products like our T6 Fire Storm or our ultimate T9 Black Fury and is suitable for both men and woman and first time users as it has no harsh crash or side effects. T5 Dominate has a carefully chosen range of ingredients that will contribute to normal ENERGY YIELDING metabolism without the crash or side effects.